Whether you’re planning to start your own bar or nightclub, or you’re already running one, you’ll want to know what the latest trends in the industry are. A nightclub consultant is knowledgeable about trends in the industry. Armed with the information they provide, you can incorporate it into your business plan and ensure you stay on top of the competition. You can also create an environment that will impress your target audience and entice them to come back as often as possible. Having a dance floor and some colorful lights is no longer enough nowadays. If you want to dazzle your target audience, you’ll want to use the most modern technology available. These include LED walls and stages as well as laser lights and even smoke and bubble machines. Of course, you’ll need to invest in the best possible sound systems that money can buy to provide your clients with the clearest music that can be heard in every corner of your premises. Don’t just create a place where people can hang out after work or during the weekends; make it a place where they’ll want to be at. One of the best ways to do this is to hold events in your premises. You could probably take advantage pf well-known holidays, like Halloween, St. Patrick’s Day, Labor Day, and the Fourth of July, as a kind of theme for your bar or nightclub. Why not expand it by inviting popular musical acts over? By doing this, you can turn your premises into a mini concert hall and pique the interest of your target audience. You can also come up with promotions that get people talking about your bar or nightclub. For instance, you can waive the entrance free or give a free drink to those who arrive in outrageous 70s costumes or creatively incorporate your business logo into their outfit. 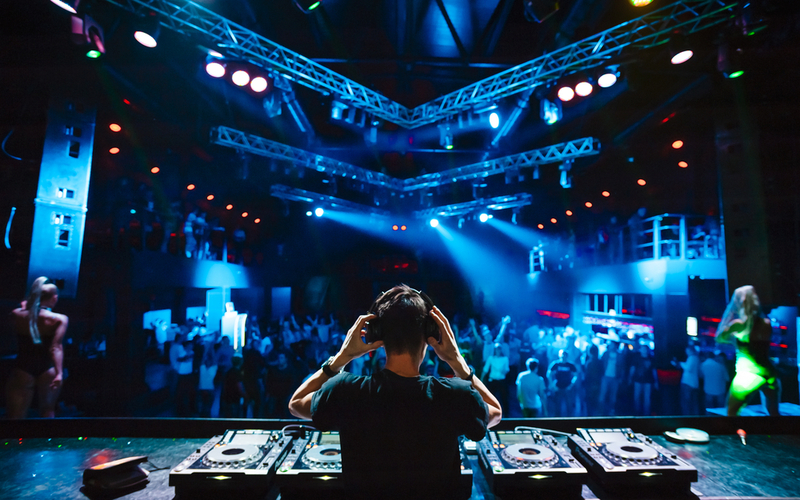 A lot of DJs nowadays — such as Skrillex, Tiesto, and Calvin Harris — have become celebrities in their own right, and many people flock to bars and nightclubs to hear these artists play. If you have the budget, you may want to consider hiring popular local DJs. If you’re able to book a ‘celebrity DJ’ you won’t just attract their fans but you’ll also catch the attention of those interested in seeing celebrities in real life. As mentioned previously, you don’t have to go for those who are nationally known if you have limited funds; a DJ who’s popular in your city or state will still generate a lot of buzz for your business. Alcoholic drinks continually evolve, and what’s popular now may no longer be trendy tomorrow. Because of this, it’s important to hire mixologists and baristas who know what they’re doing and are keeping up with the latest trends. With their help, you can offer your customers the latest drinks and impress them with your up-to-date repertoire. Many millennials value courteous and personalized service, so it’s important to integrate this into your employee training. Use a digital guest management system to keep track of your customers and send them customized emails after they visit your bar or nightclub. Make it easier and faster for people to get drinks so they won’t have to wait for long periods of time. Give these trends a try and see if they can help boost your business. To obtain more tips about improving your bar or nightclub, get the help of a nightclub consultant like Perry Group. With our experience in the hospitality industry, we can assist you in transforming your business into a more popular and lucrative one. If we can’t help you for any reason, we can point you in the direction of a nightclub consultant that can.